Home News Company News What is hydrostatic test? 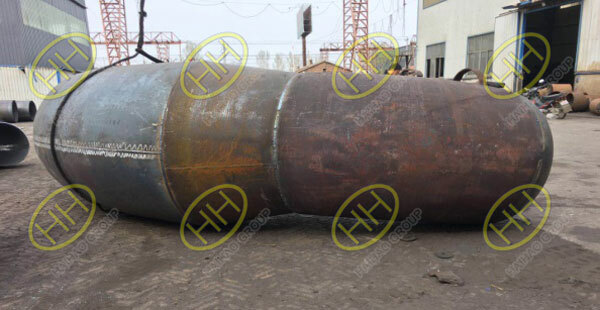 Large diameter customized pipe bends are waiting for the hydrostatic test in Haihao Group,and the test pressure is 1.5 times the maximum possible working pressure.The hydrostatic test consists of filling a piece of equipment with a fluid at test pressure,for a given period of time,to check the existence of leakages.The test is passed if the equipment bears the test pressure without any leakage. It is a common procedure to test piping equipment,like pipes,valves,and fittings.All products that shall withstand pressure when in operation.The hydro test is executed by skilled personnel by using chlorinated water (or other colored fluids) to check the existence of leakages in pressure-containing equipment.Before starting the test,the staff should pay attention to the testing fluid chemistry and how it may impact the equipment. 4,leakage test,due to fire safety considerations. 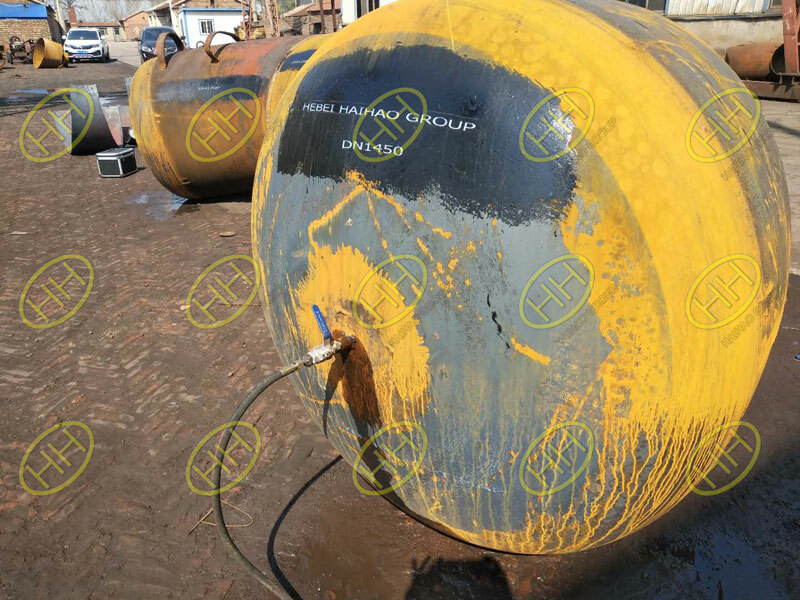 Except for vacuum pipeline system and pipeline system with fire protection requirement,most pipelines only conduct strength test and tightness test.Strength test and tightness test of pipeline system usually adopt hydraulic test.If hydraulic test can not be used because of design structure or other reasons,pneumatic test is a suitable alternative.Pressure test should be conducted with liquid as test medium.When the design pressure of the pipeline is less than or equal to 0.6 MPa,gas can also be used as test medium,but effective safety measures should be taken.For brittle materials,it is strictly forbidden to use gas for pressure test. 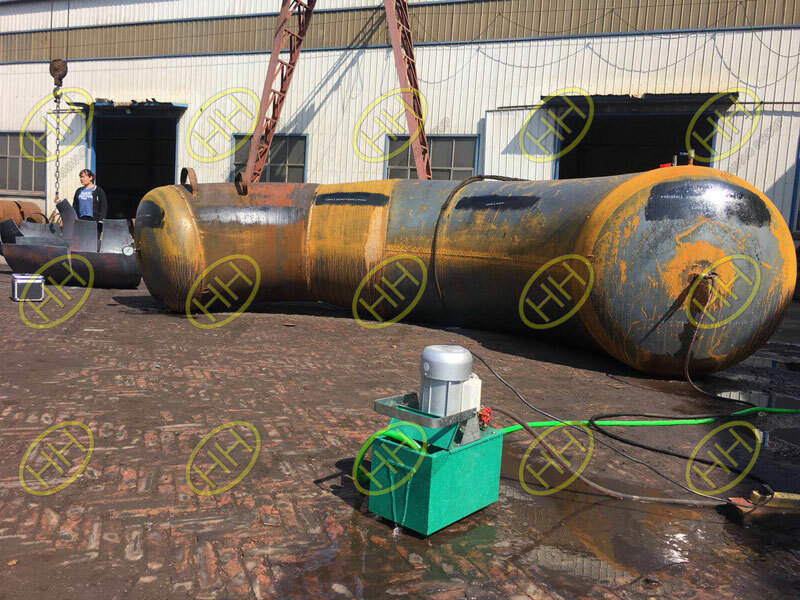 Our company abides by strict production regulations and do the hydraulic test carefully,just to ensure our production quality.So,don’t hesitate anymore,pick your phone and place an order now!